There are few things more quintessentially Texan than Lonesome Dove. The 1985 Pulitzer Prize-winning novel by Larry McMurtry, set in the fictional titular border town, was subsequently turned into an Emmy Award-winning miniseries. 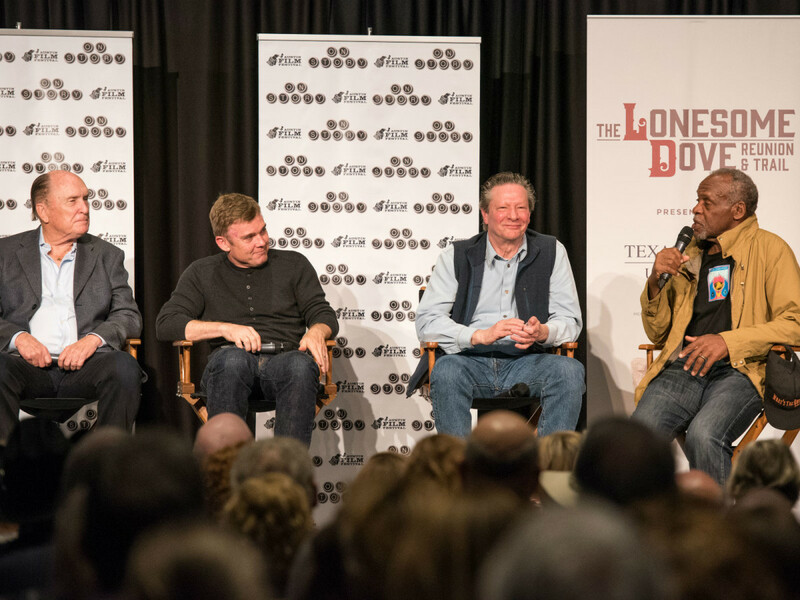 The enduring legacy of that TV project was celebrated in Fort Worth on March 30 and 31 with the Lonesome Dove Reunion & Trail, a series of panels involving the cast and crew. It's been 27 years since the miniseries premiered on CBS, but the impact it has had on the lives and careers of the people involved with it seems to be everlasting. 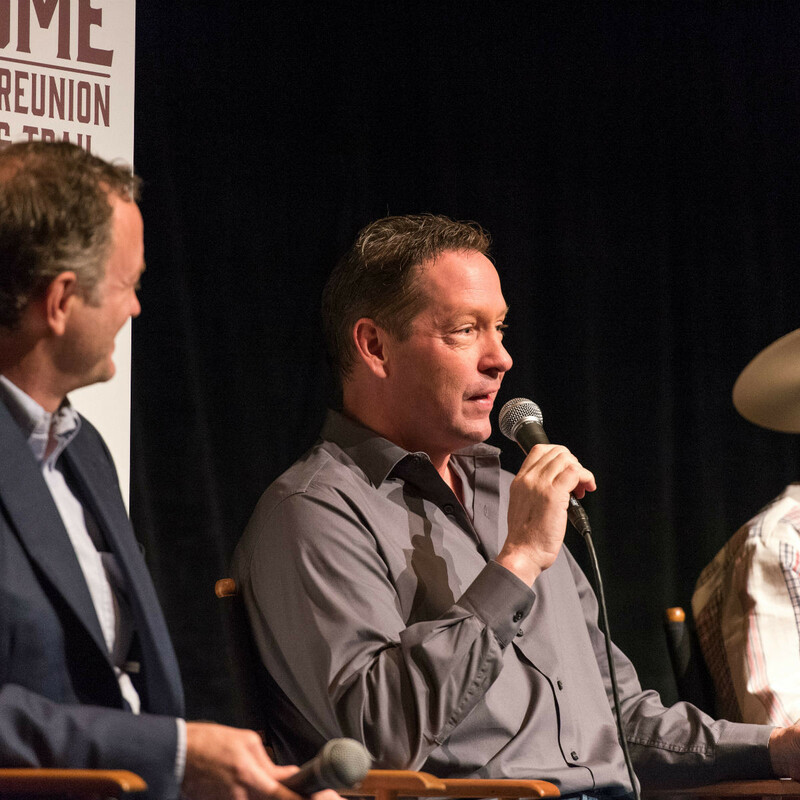 Texas State University in San Marcos, which houses a Lonesome Dove collection, organized the Lonesome Dove Reunion & Trail to allow them and the fans to pay tribute to the film. 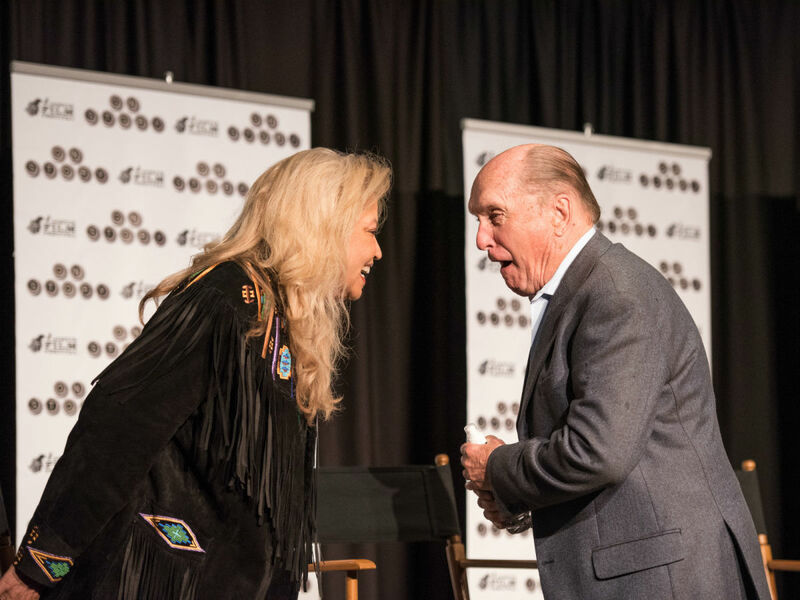 Stars Robert Duvall, Danny Glover, Chris Cooper, and Ricky Schroder, along with producer Suzanne de Passe, gathered at TCU to reminisce about their time making the film. 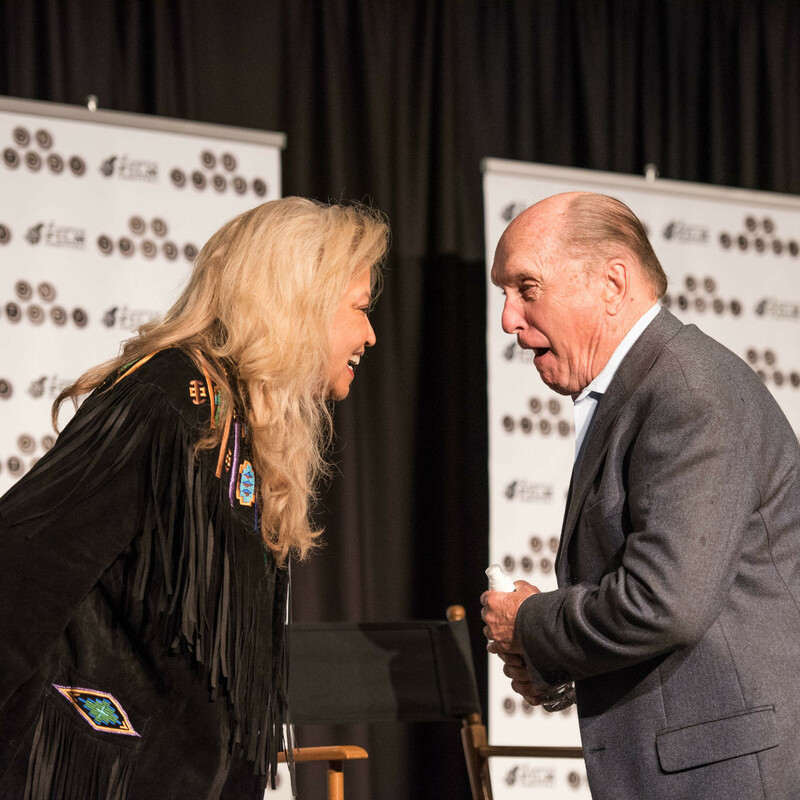 Duvall was the undisputed main attraction, comparing Lonesome Dove favorably to another classic he starred in, saying it was "the Godfather of Westerns." The actor also dropped tantalizing tidbits, such as his emulation of TCU football legend Sammy Baugh in certain gestures he used in his role as Augustus McCrae. His deadpan humor slayed the room on multiple occasions, including when he remembered the exploits of Schroder, who had just turned 18, in Mexico: "He would get fed and then get bred." Schroder appeared to be having the most fun traveling down memory lane, talking about how he had to be talked into doing the miniseries in the first place, and then ended up buying a ranch in Colorado because of the experience. He also credits the film for launching his adult career, as it helped him separate himself from his previous work on the sitcom Silver Spoons. Glover arrived about an hour late due to rain, but he immediately endeared himself to the crowd after playing a clip of his character, Joshua Deets, dying. 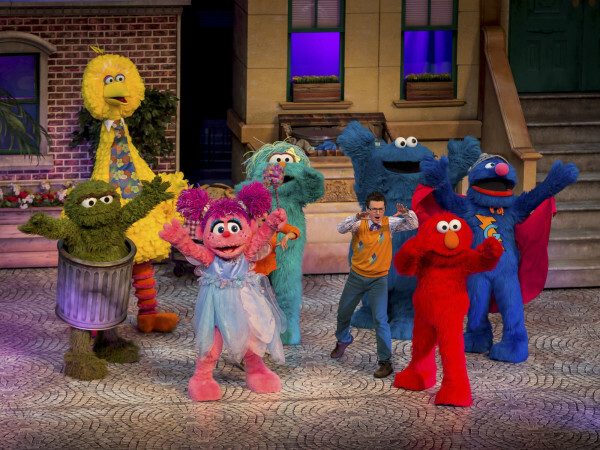 Glover said it was the first time he had seen the scene since the original airing, and the emotion of the moment was evident on his face and in his voice. After a night of carousing at their Fort Worth hotel bar, other cast and crew members gathered at the Van Cliburn Recital Hall in downtown Fort Worth on March 31. 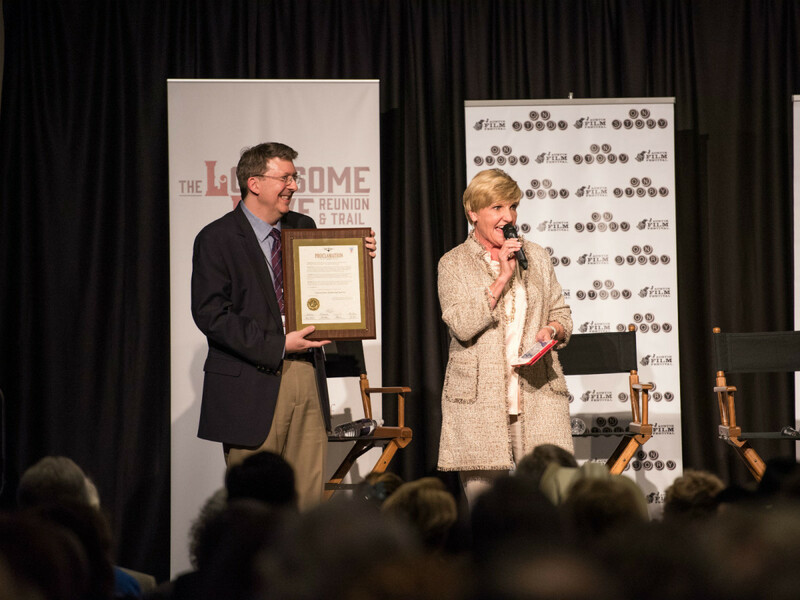 Following a rowdy panel featuring many of the supporting male actors, including D.B. Sweeney and William Sanderson, it was the women's turn to tell their stories. 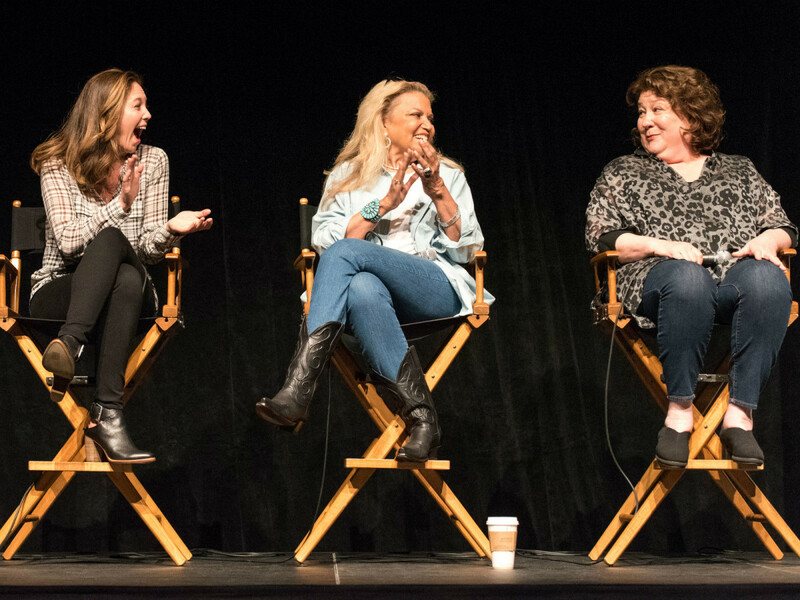 Although the panel was missing Anjelica Huston and Glenne Headly, Diane Lane, Margo Martindale, and de Passe made up for their absence with a treasure trove of memories. Though in hindsight it seems making the miniseries was a no-brainer, de Passe set the record straight, saying that both Westerns and miniseries were out of style at the time. 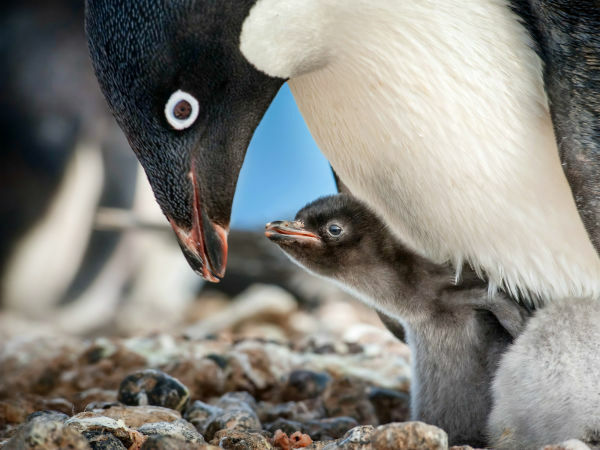 It wasn't until the novel won the Pulitzer Prize that de Passe, who had already optioned the book, was allowed to move forward with the project. Martindale, now an Emmy-winning actor, was a relative unknown at the time she was cast as the infamously named whorehouse madam, Buffalo Heiffer. Although her time onscreen was limited, she still made her mark, as her real-life pregnancy gave her introduction in the film, in which she takes in Schroder's character Newt, extra humor. 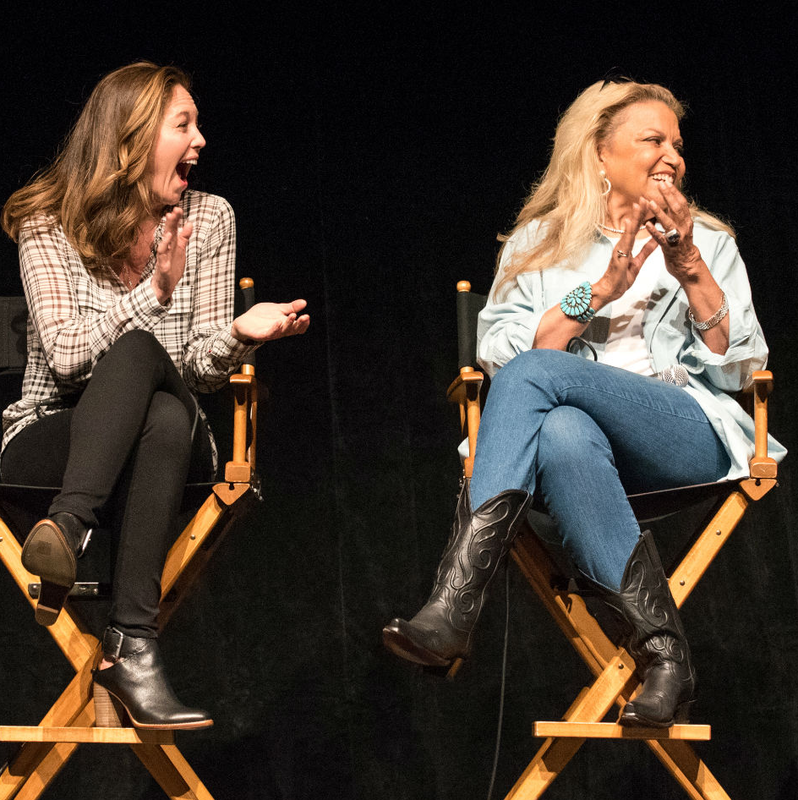 That humor appeared in the panel as well when, asked if she got to ride any horses during production, she said, "Well, I certainly didn't ride a horse." Lane, who played Lorena Wood, showed her affection for Duvall after viewing scenes in which McCrae both entertains and comforts Lorena. She talked about how Duvall cast a spell as Gus, and how she's still not sure she knows the real Duvall since he stayed in character the entire time. 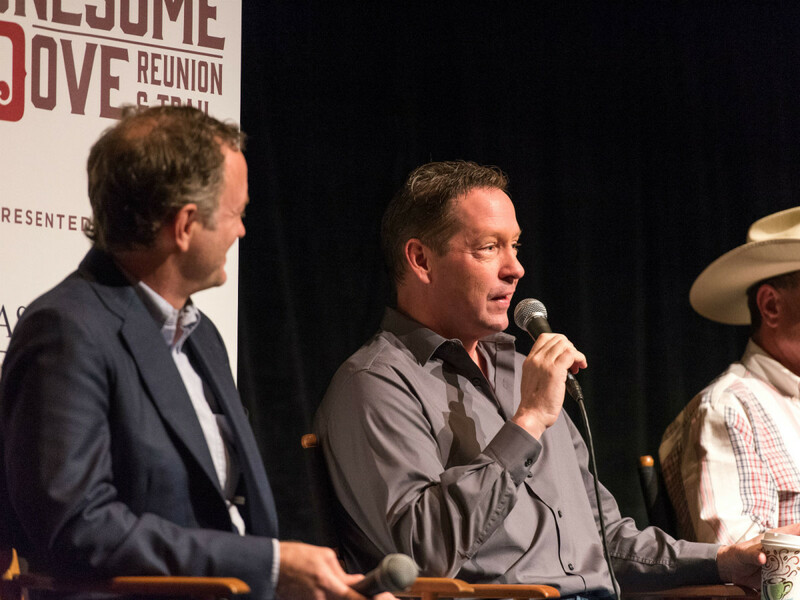 Holding a Lonesome Dove reunion in Fort Worth, which is far from the filming locations of Austin and Del Rio and from the collection in San Marcos, might have been incongruous, but it was embraced nonetheless. 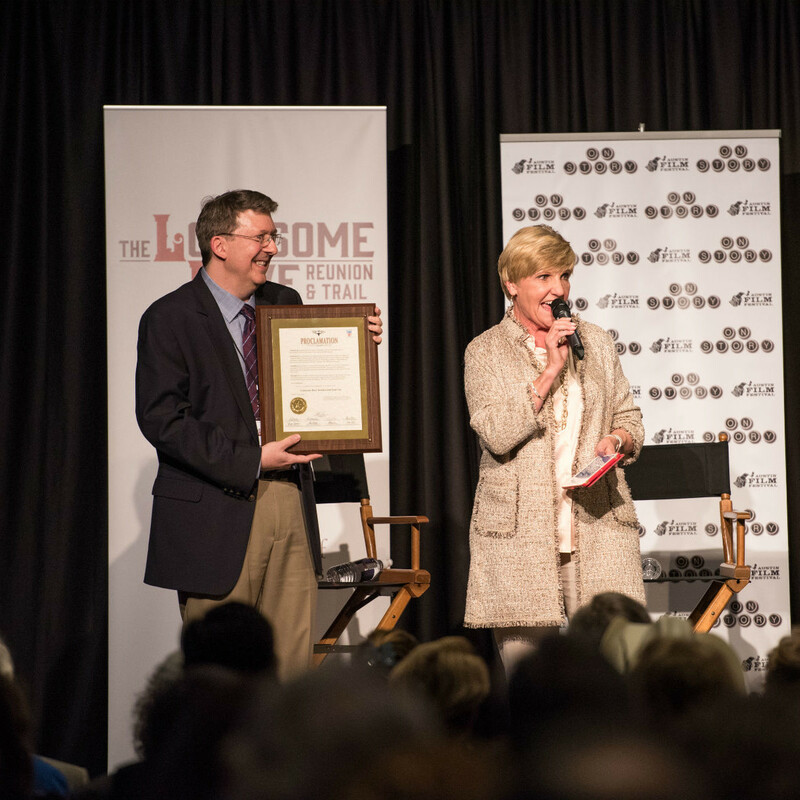 With Fort Worth Mayor Betsy Price delivering a proclamation naming March 30 as Lonesome Dove Reunion Day, and the crowds showing up decked out in their finest Western gear and cowboy hats, it showed that fondness for the miniseries has hardly waned. And if Schroder's experience is any indication, it may keep going for decades to come. Schroder said he played pool at the White Elephant Saloon the night before his panel and interacted with multiple people in their 20s who know and love the miniseries, even though it first aired before they were born. 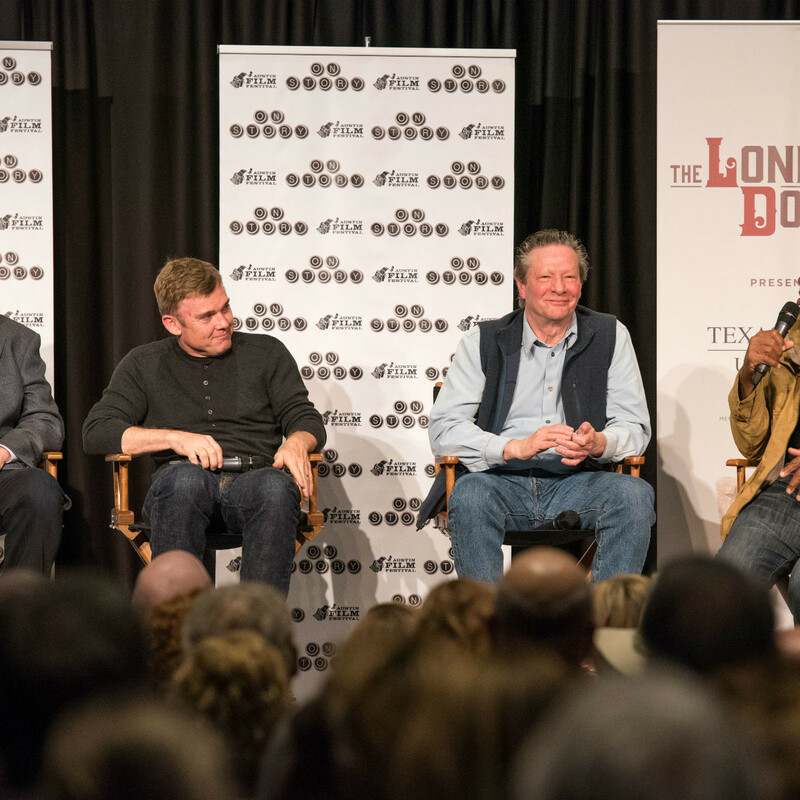 If true, it would appear that Lonesome Dove's legacy is alive and well. Fort Worth continues to celebrate Lonesome Dove with three separate exhibits: Bill Wittliff: Photographs from Lonesome Dove, at Cattle Raisers Museum (on view through April 17); Bullets and Bustles: Costumes of Lonesome Dove, at the National Cowgirl Museum and Hall of Fame (on view through April 17); and Lonesome Dove: The Art of the Story, at Sid Richardson Museum (on view through June 19).